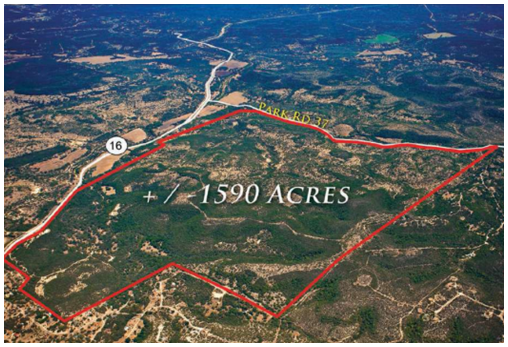 ​​​​​ Helotes​ – Rockspring Capital has sold a 1,590-acre property outside of San Antonio to Southerland Communities for residential development. The land is located 24 miles northwest of San Antonio in Medina County, and is off Texas 16 and Park Rd. 37 in Helotes. The property is in the Northside Independent School District. The buyer plans to change the name to Canyon Creek Preserve and develop ranches with 25 acres or more, according to Rockspring Capital.